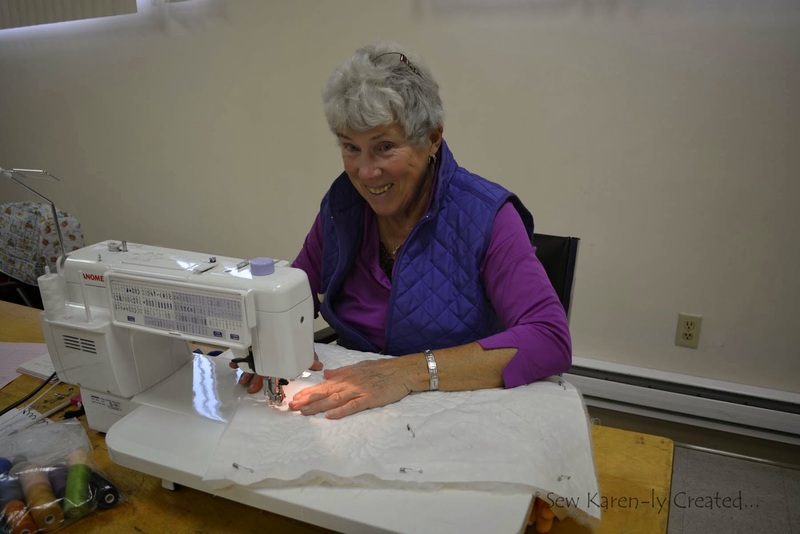 What a pleasure to receive an email such as this from Jeannine Damstetter of MA. 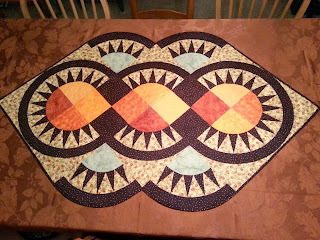 Thought I'd send you some pictures of my New York Roundabout Again finally finished... 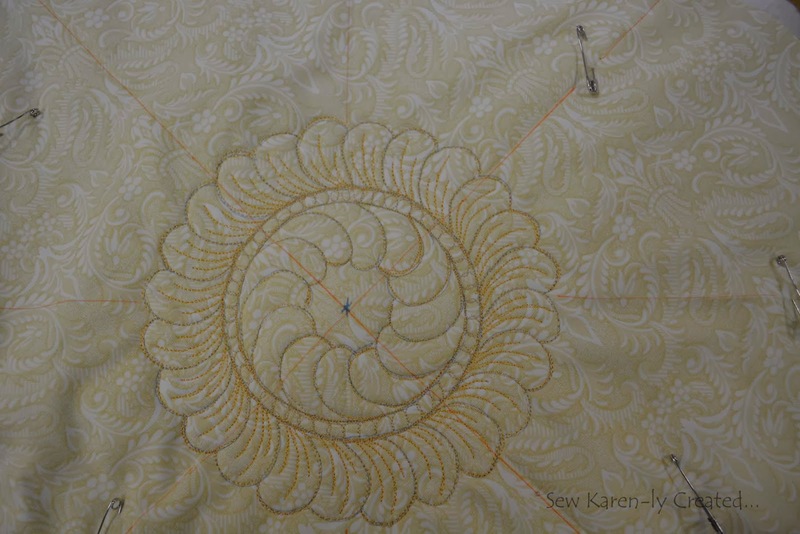 It was a dream to put together with your instructions and pattern. 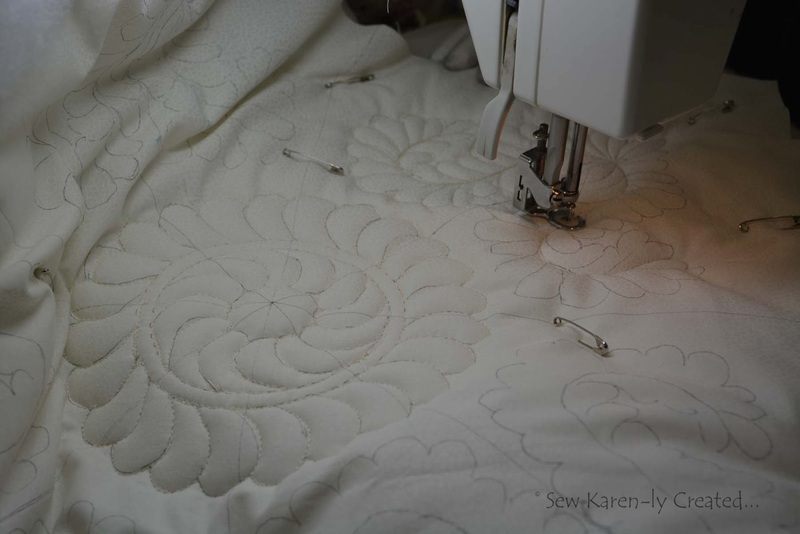 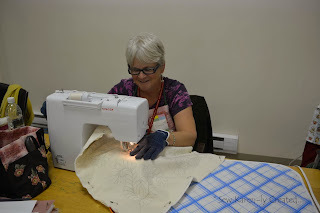 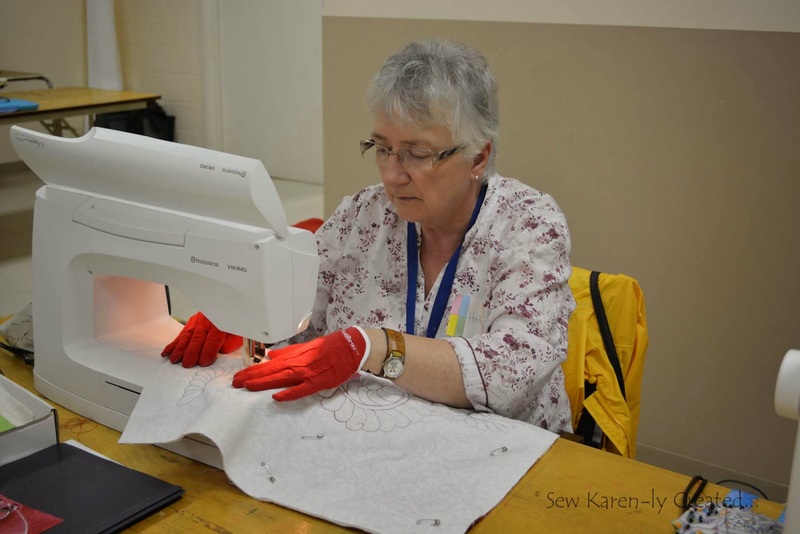 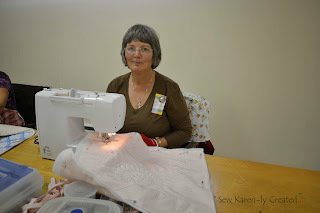 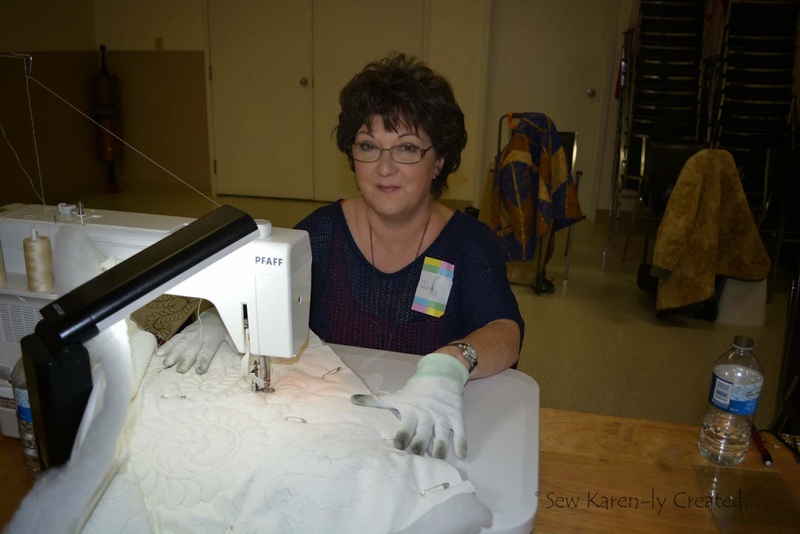 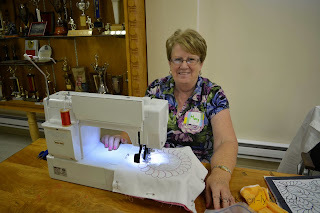 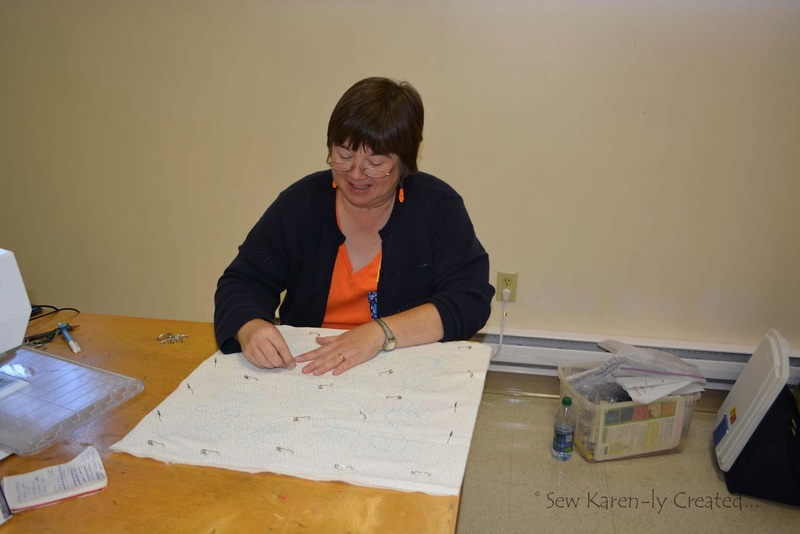 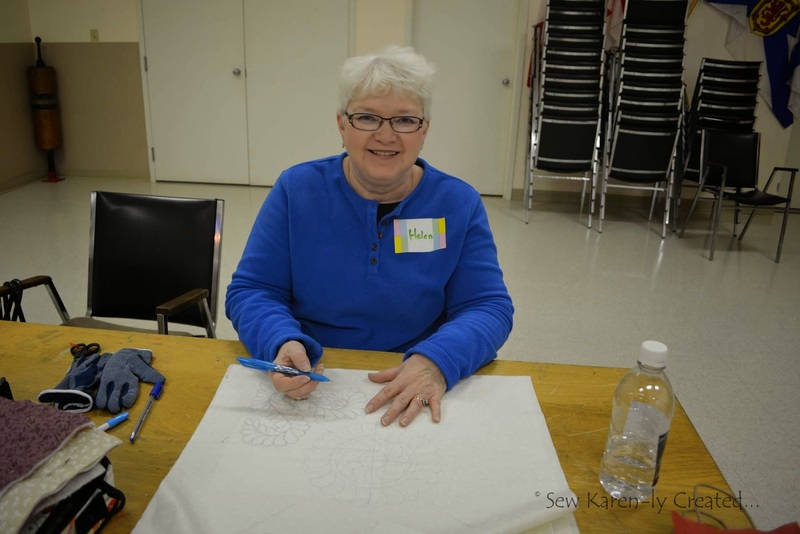 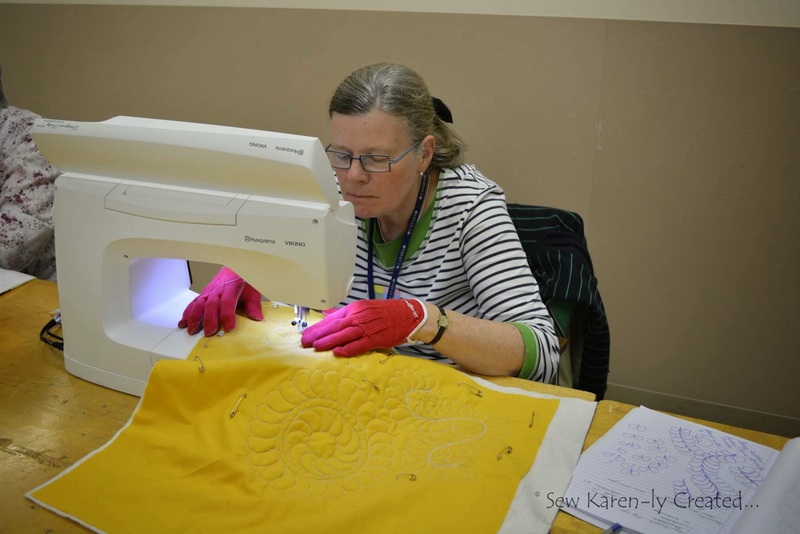 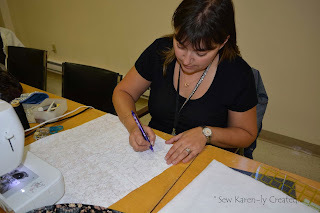 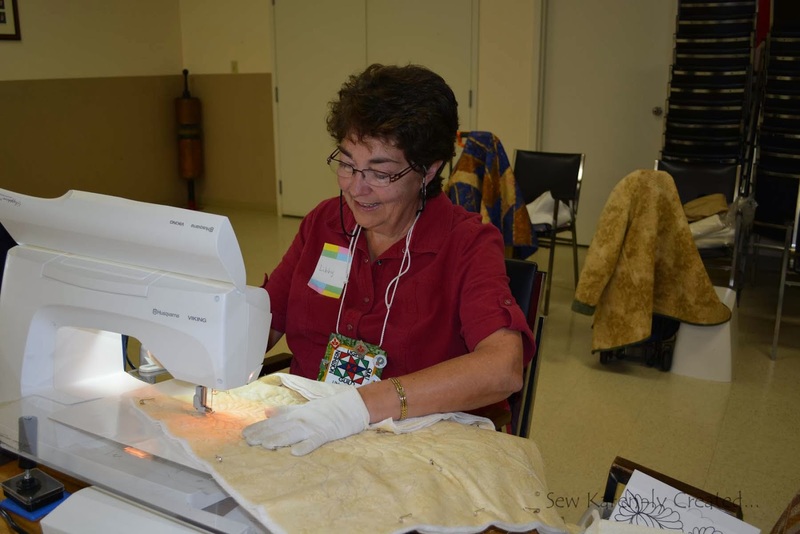 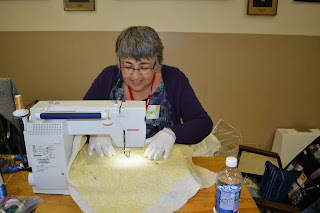 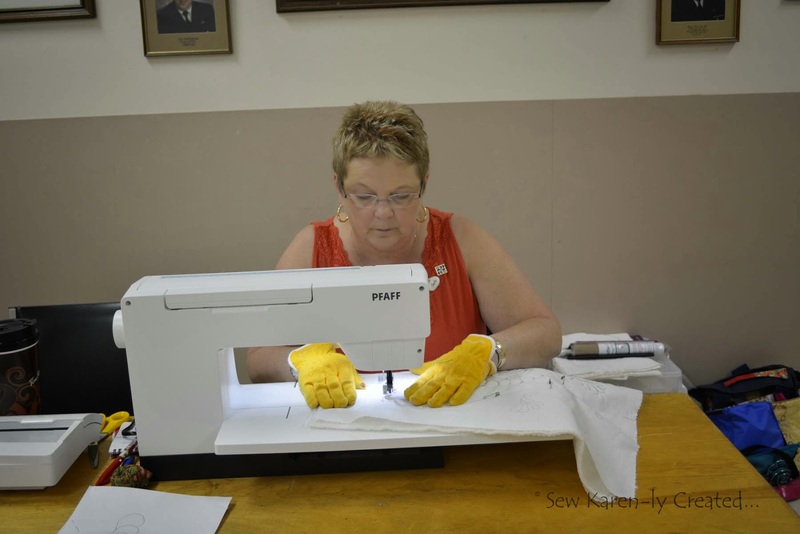 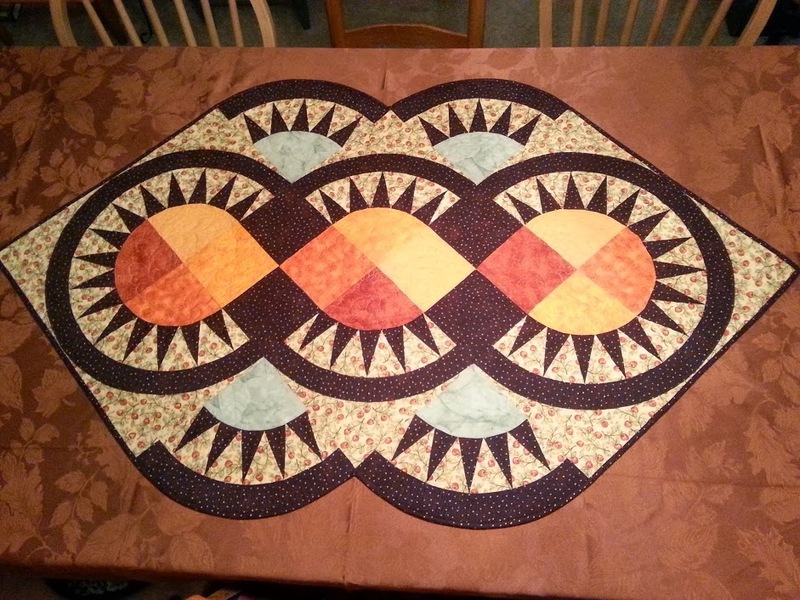 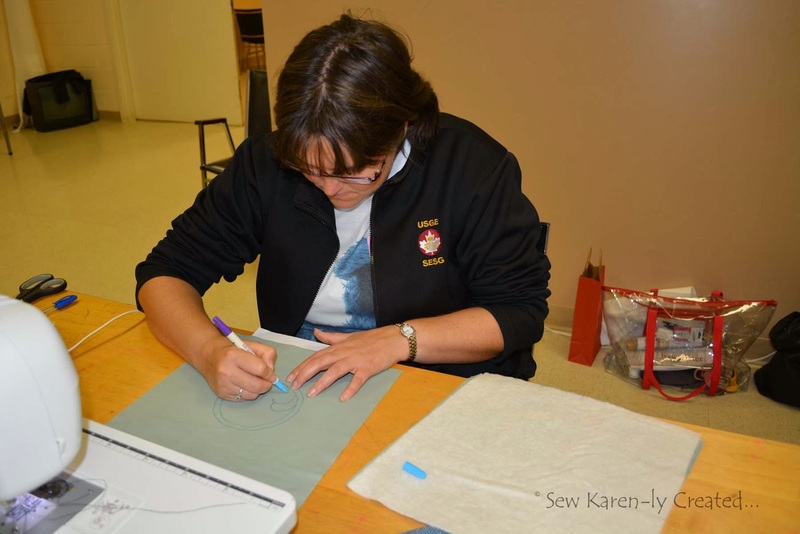 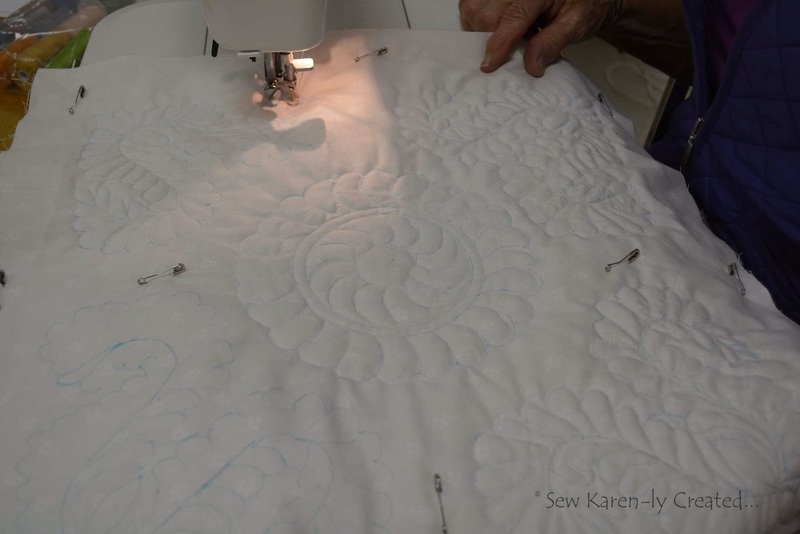 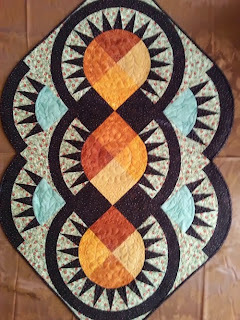 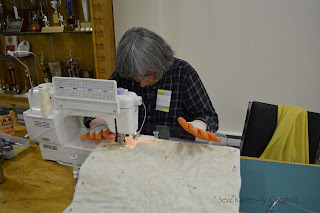 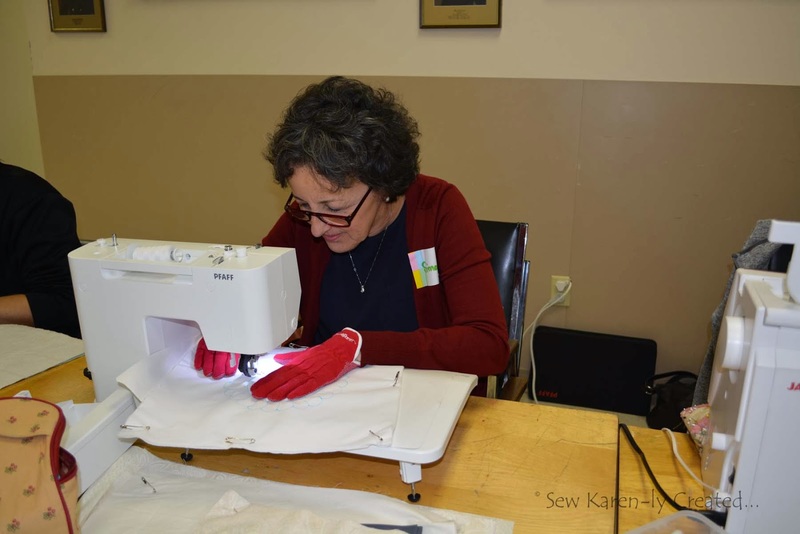 I took a few online classes with Angela Walters and the quilting brought it all together. 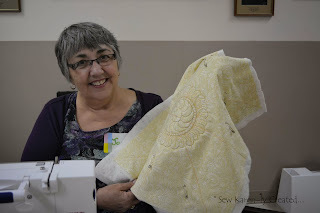 Thanks again for your great patterns. 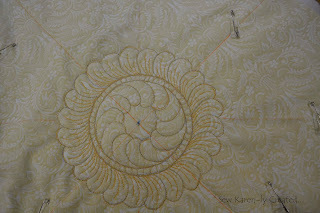 Jeannine's colours are spectacular, especially those pale bluish centres peeking out on the sides. They add great dimension. 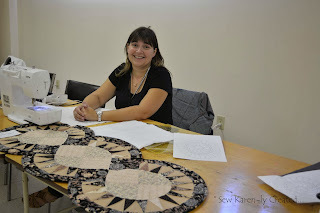 I hope you click on the photos to see a close up of her gorgeous quilting on those feathered wreaths. Jeannine, I also took a class from Angela Walters and know that she is great inspiration. 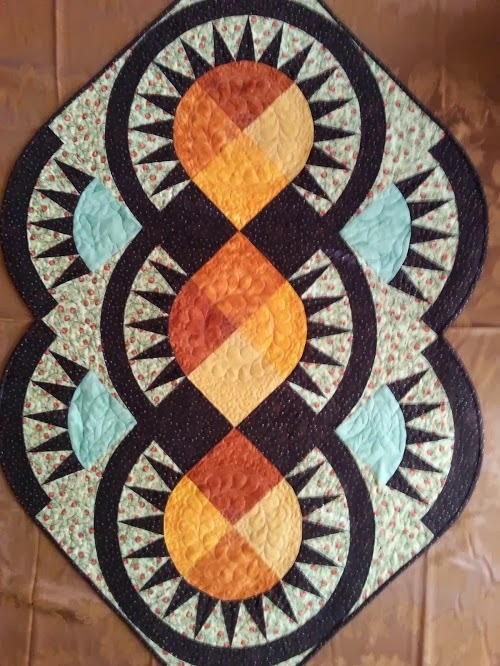 Thank you so much for sending this along.